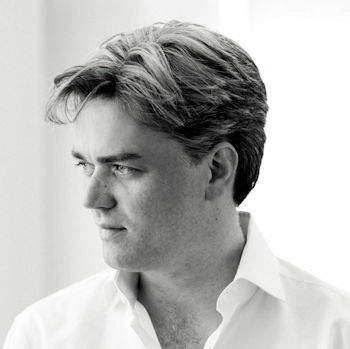 Katherine embarks on a thrilling journey to the Hall of the Mountain-King in the company of Edward Gardner and the Bergen Philharmonic. Gardner and the splendid team tackle the whole work with all the verve and drama one could possible want…But perhaps most illuminating is the contribution of Håkon Høgemo on the Hardanger fiddle, giving pithy insight into the extent of Norwegian folk music’s influence …[the Concerto] scrubs up fresh and energetic in the hands of Jean-Efflam Bavouzet. Gardner is certainly alive to the drama of the tale and his ‘Hall of the Mountain King’ is superbly caught by Chandos’s engineers…while the ‘Morning Mood’ that opens Act 4 attains a refreshing simplicity hard to achieve in such well-known music…In the Piano Concerto, Gardner brings to the table flair, drive and an almost Tchaikovskian lushness to the string sound, which matches well Bavouzet’s commanding manner in the piano’s opening flourish. Bavouzet is...light and carefree in the opening Allegro molto moderato, magical in the central Adagio and dazzling in the finale. The Bergen Philharmonic play superbly, as they do throughout Peer Gynt. The vocal and choral contributions are nicely realised, too. Gardner gets things off to a swashbuckling start with a swaggering introduction that showcases the sparkling Bergen strings and gives way to the uncanny sonority of the Hardanger fiddle, paving the way for an account of the score which holds the sweeping symphonic writing and folk elements in ideal balance...Norwegian lyric-dramatic soprano Lise Davidsen contributes a luminously seductive Anitra. This music is tried and tested but it’s been given fresh lustre. The Piano Concerto may be considered a warhorse, but Bavouzet keeps it cantering nimbly along with a featherlight touch...Gardner steers [Peer Gynt] authoritatively...One listen and you’ll be pining for the fjords too.